Modern cataract surgery is generally performed with minimal impact from most systemic medications. However, there are a few that our patients may be taking that can increase risks. In recent years, the alpha-1 antagonist class of drugs has received significant attention for its association with complicated cataract surgery. Something that makes these medications easy for me to remember is that they all end in "sin". Although these drugs can make life difficult for cataract surgery patients, my "sin" memory aid isn't intended to suggest anything about morality. 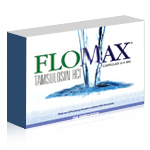 A report in 2005 first suggested an association between tamsulosin (Flomax) and intraoperative floppy iris syndrome (IFIS).1 This has since been confirmed by additional published studies.2-5 IFIS is a condition that occurs during phacoemulsification cataract surgery. In one prospective study, 90% of 167 eyes from patients taking tamsulosin exhibited some degree of IFIS during cataract surgery.3 Cataract surgery time and difficulty is increased. 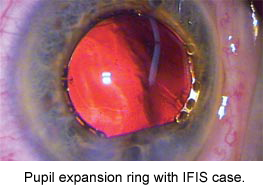 Complications such as iris damage, hyphema, capsular rupture, and vitreous loss are more common. Tamsulosin is an alpha-1A blocker that is selective for the alpha-1A receptor subtype. Its primary indication is the treatment of benign prostatic hyperplasia (BPH) and associated lower urinary tract symptoms. Less commonly, IFIS has also been linked to other non-selective alpha-1 blockers like prazosin (Minipress), doxazosin (Cardura), terazosin (Hytrin), and alfuzosin (Uroxatral).2-5 Silodosin (Rapaflo) is a relatively new (October 2008) selective alpha-1A blocker and thus very similar to tamsulosin. It is not clear yet whether silodosin carries the same risk of IFIS. These alpha-1 blockers may also be prescribed for women to decrease urinary retention or to treat hypertension. Cataract surgeons manage IFIS with iris retractors, pupil expansion devices, viscoelastics, and intracameral epinephrine. Undoubtedly, the best strategy is to anticipate IFIS preoperatively. Patients should be asked if they are taking or have taken tamsulosin (or other "sin" drugs) and then counseled about the increased risk of surgical complications. Unfortunately, discontinuing these medications prior to cataract surgery does not appear to prevent IFIS or reduce its severity.3 It should also be noted that not every patient treated with one of these medications will manifest IFIS. IFIS has become enough of a concern among cataract surgeons that there is a growing effort to educate physicians who prescribe alpha-1 blockers-particularly tamsulosin. Patients with cataracts or decreased vision should consult with their eye doctor prior to initiating chronic tamsulosin or other alpha-1 blocker therapy. Cataract surgery may be advisable first. If patients are already taking tamsulosin, or have taken it in the past, delaying or avoiding cataract surgery is not necessary. However, it is important to educate them about the increased risk of IFIS and alert their surgeon. Our post-op care for IFIS-related complications is identical to complications we manage in non-IFIS cases. Fortunately, experienced high-volume cataract surgeons have developed successful strategies for producing excellent outcomes with IFIS. If you have questions or concerns, please feel free to contact any one of our doctors.